← ROSIE STEEL MELTS and TRUMP PLAYS TO A PACKED HOUSE ! NEWTOWN, Conn. — The National Shooting Sports Foundation®(NSSF®), the trade association for the firearms industry, is pleased to announce that FN America has signed on as a Supporting Sponsor of National Shooting Sports Month®. 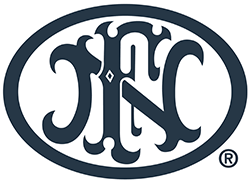 Headquartered in McLean, Virginia,FN America, LLC, is a U.S. subsidiary of FN Herstal, S.A., a leader in the development and manufacturing of firearms for military, law enforcement and commercial customers. “We are very pleased to partner with NSSF in promoting National Shooting Sports Month and encourage everyone to find an event near you, bring the entire family and have a safe, fun time on the range,” said Tom Scott, Director of Marketing for FN America, LLC. Kicking off this past Wednesday and taking place throughout the month of August, NSSF’s National Shooting Sports Month is designed to celebrate the excitement of the target shooting sports and highlight the lifetime of enjoyment this pastime provides. At the same time, it reminds the public that shooting is a safe activity enjoyed by millions of Americans, cultivates increased shooting sports participation through hundreds of fun events and activities at ranges and retail stores nationwide and fosters mentorship of new shooters by those already active in target shooting. Hundreds of firearms ranges and retailers across the country have thrown their support behind National Shooting Sports Month by posting a wide-ranging roster of matches, tournaments, charity events, instructional classes, sales, family days at the range, our Trigger Time Sweepstakes and other promotions to the Calendar of Events at ShootingSportsMonth.org, which interacts with the newly launched LetsGoShooting.org website, a comprehensive consumer resource for all things shooting sports and firearms safety. Though National Shooting Sports Month is now fully underway, sponsorship opportunities are still available. For more information, contact Chris Tatulli, NSSF Director, Exhibit & Sponsorship Sales, atctatulli@nssf.org or 203-426-1320 ext. 214. This entry was posted in NSSF/NRA and tagged FN America, National Shooting Sports Month, NSSF. Bookmark the permalink.